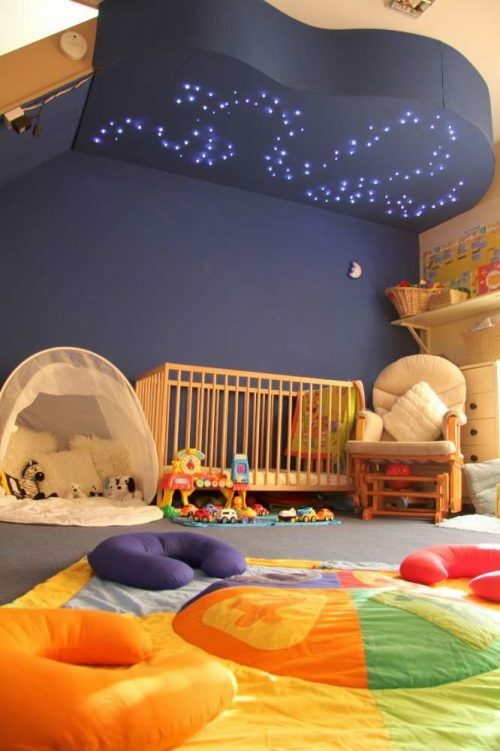 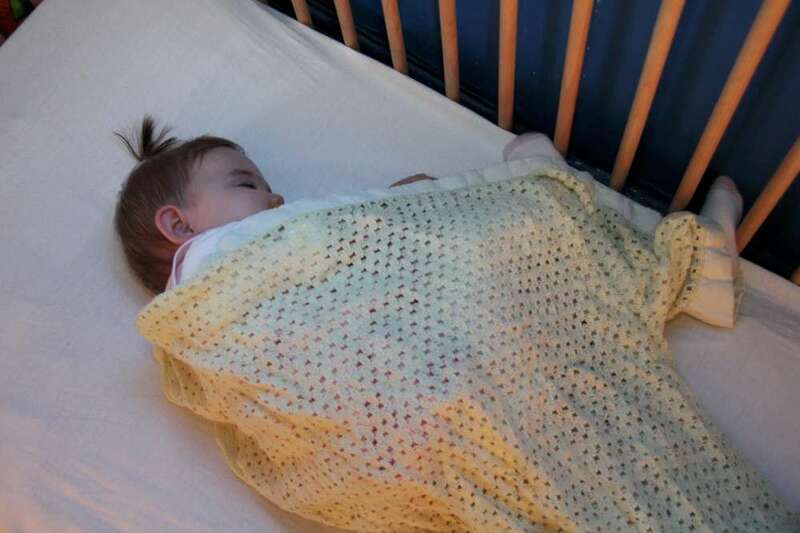 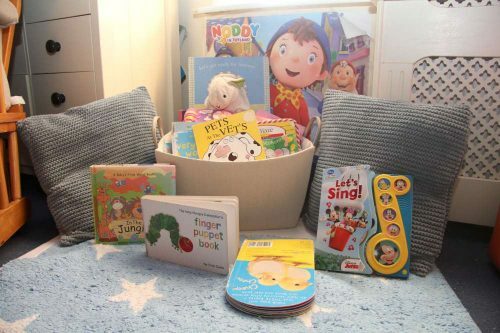 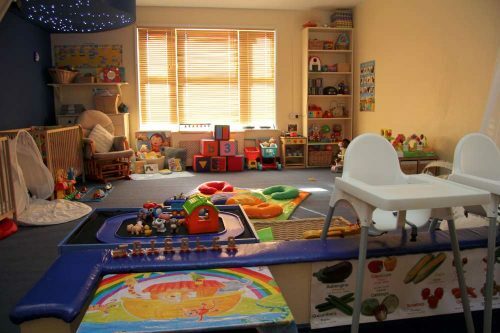 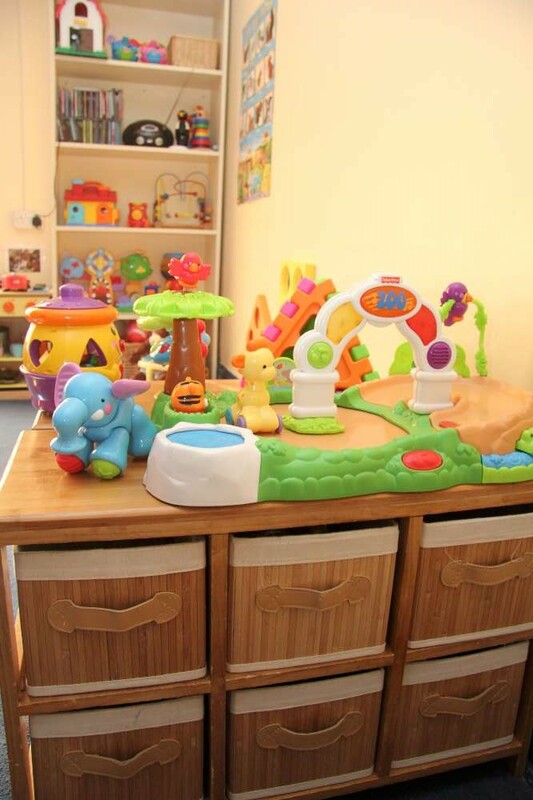 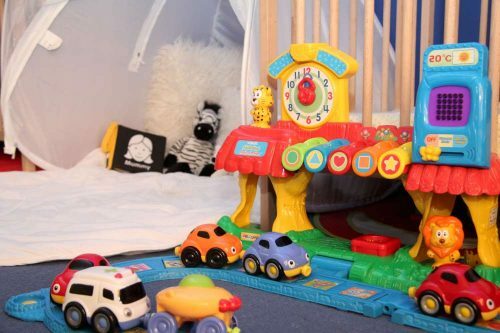 Our baby room is a homely environment designed to nurture babies development. Practitioners work with both the Early Years Foundation Stage (DfE, 2017) framework and the babies guardians to effectively meet each individual babies development needs. 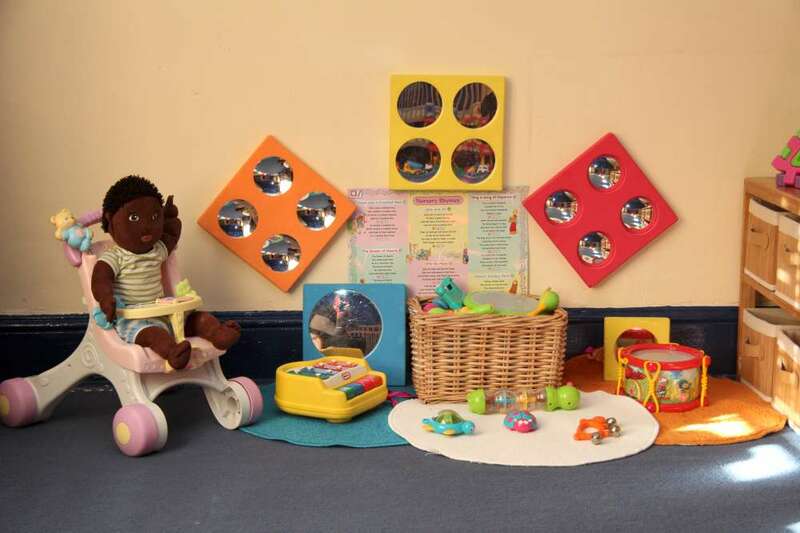 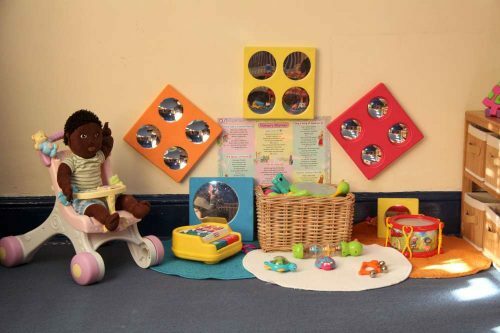 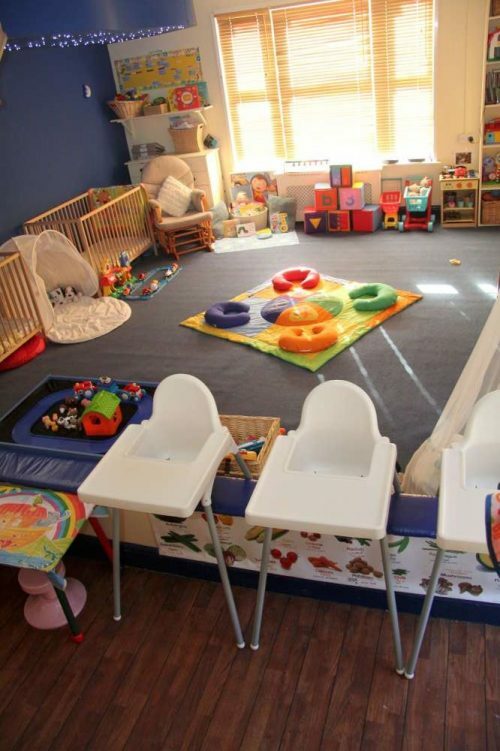 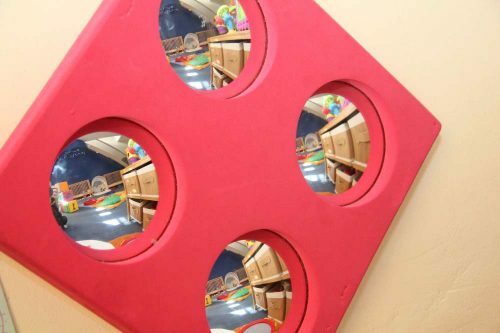 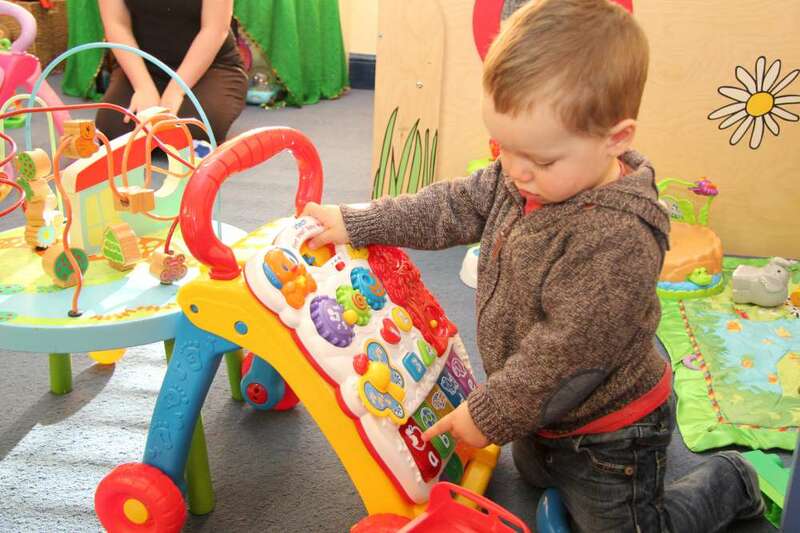 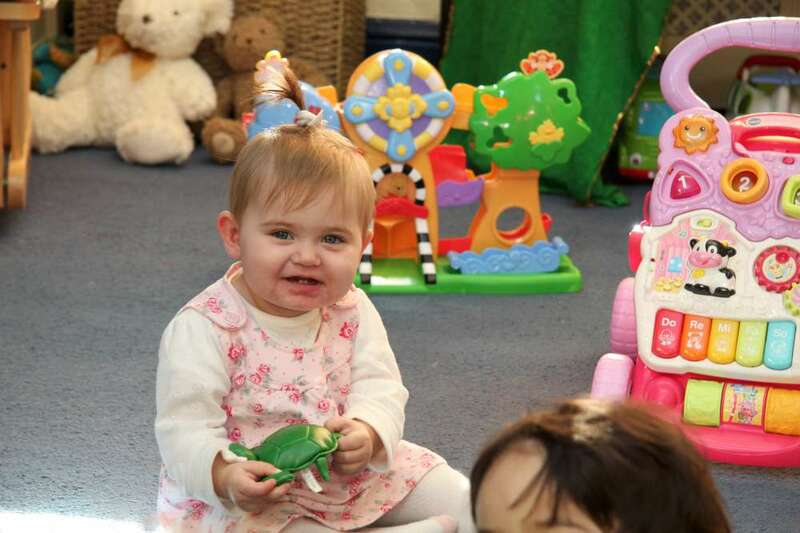 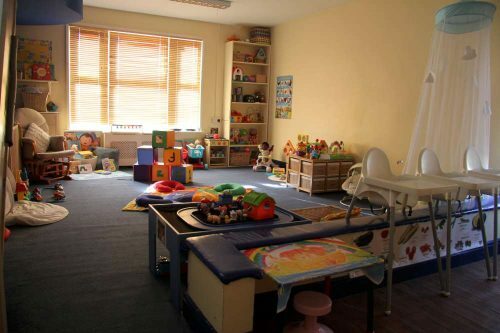 Our under two’s area holds a maximum of 9 babies from the ages of four months to around two years depending on individual needs and development. 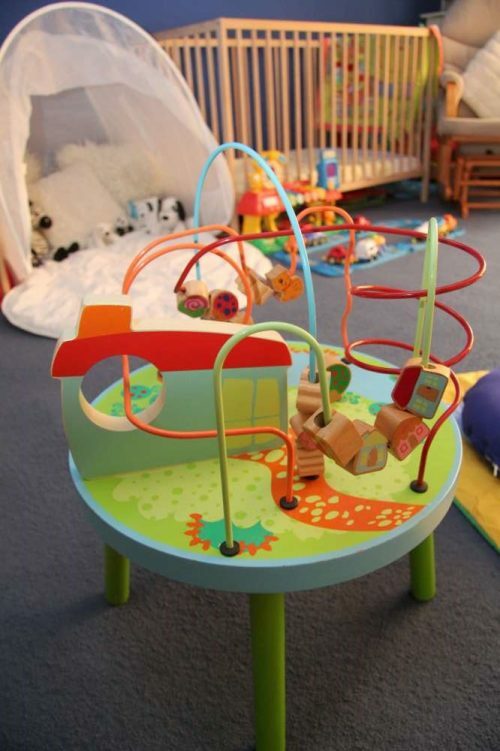 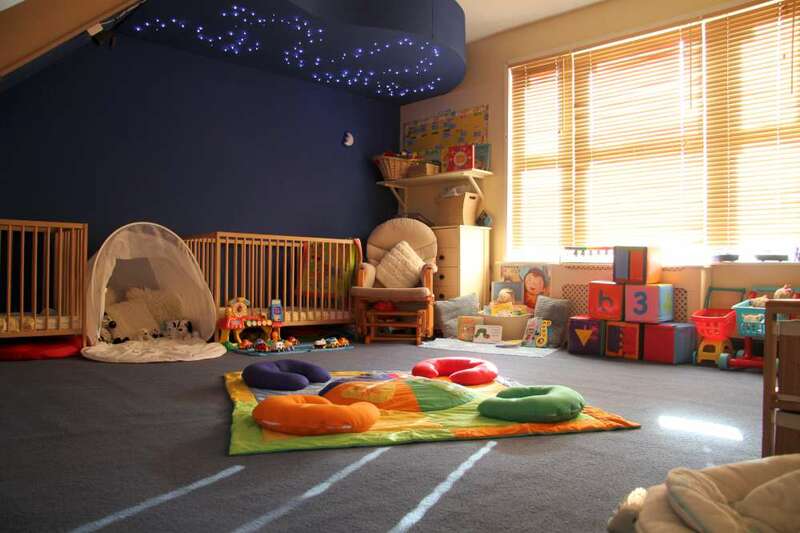 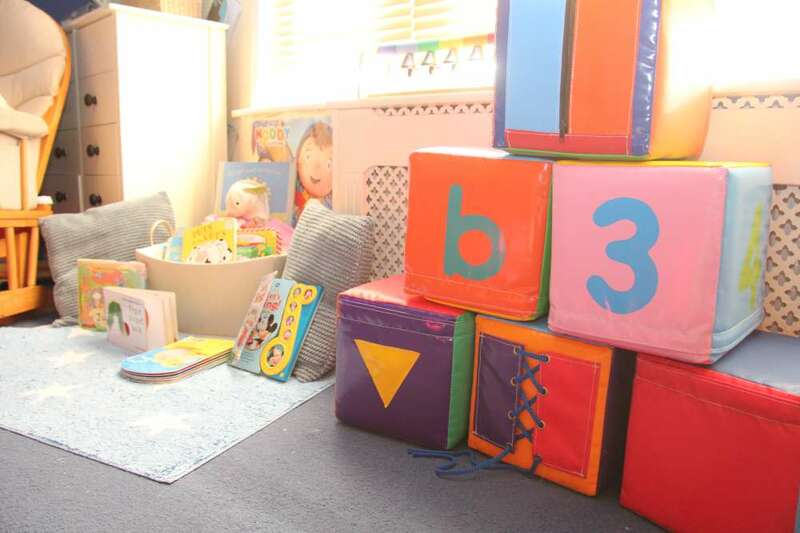 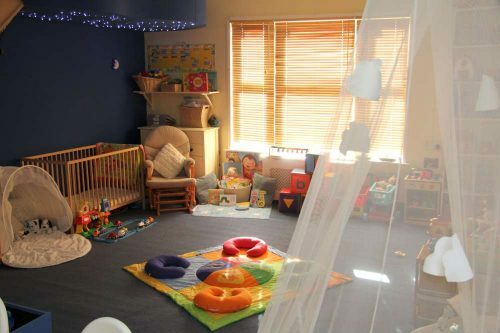 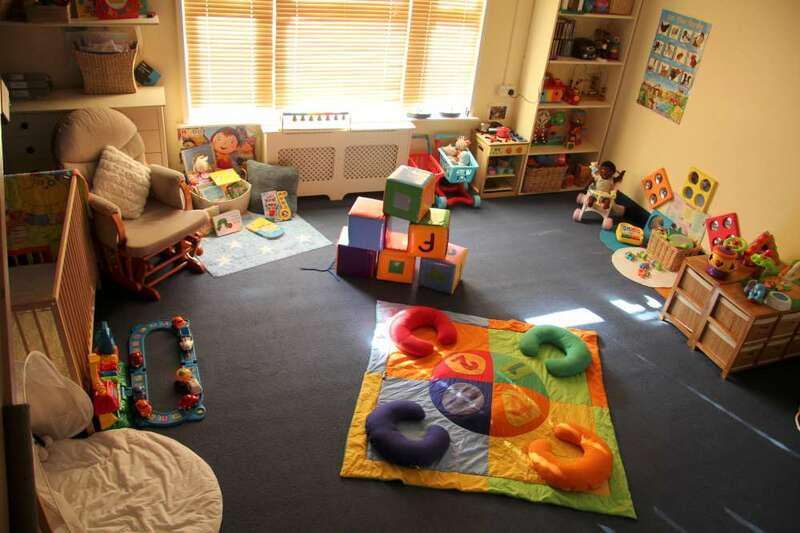 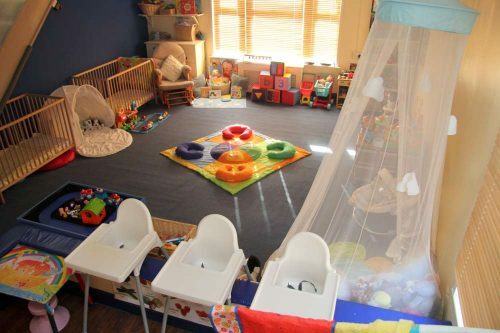 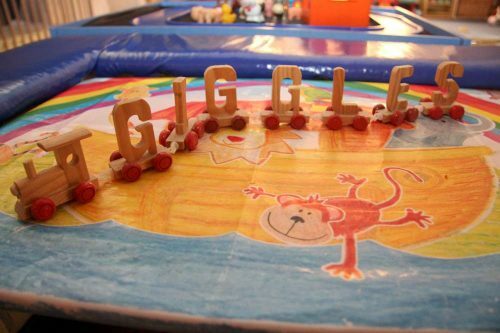 Being located on the first floor away from the busy energy of the older children giving the atmosphere in this provision area a calm feeling where the practitioners can focus on building positive relationships with each baby to support their individual wellbeing. 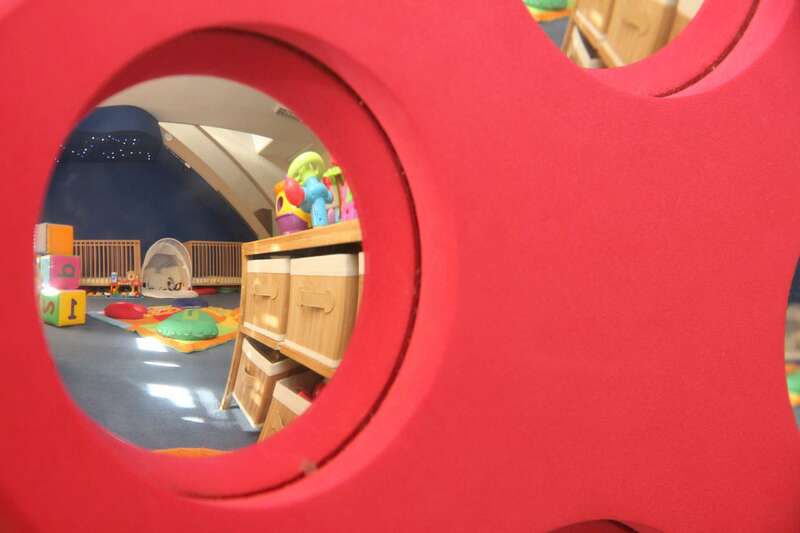 There are opportunities for the two age groups to interact in one of our outdoor spaces allowing friendships to develop, siblings to spend time together and for the younger children to learn and progress.